Home - Roofing - Why Is Your Roof Leaking? The causes of roof leaks are rarely unusual. Unfortunately, people often don’t know what these causes are. This can make their roof insurance claim more difficult to assess since they usually won’t be able to put the correct reason for the roof leak as the reason for their claim. Knowing the cause of your roof leak and being able to tell what it isn’t will make this process simpler. Probably the most common source of roof leaks, missing shingles basically expose the rafters and underlayment of your roof to the elements. And if you don’t conduct regular roof inspections, the chance that this missing shingle will go unnoticed until the problem becomes bigger is pretty high. Improperly installed or damaged flashing will definitely cause leaks to spring from your roof and even from your siding. That’s because flashing covers exposed gaps where your roof meets another structure. Damaged roofs can re-expose this gap. Be sure to ask your roofing and siding contractors to double-check any flashing installation they make on your roof and siding. The age of your roof can also be a cause for your roof leaks. Some roofs are designed to work efficiently for a set period of time. They might also be exposed to frequent weather disturbances that affect the efficiency of the roofing material. Once your roof is past its service life, the material can start to become brittle, making it prone to chipping and cracking. Holes caused by blunt force are evident sources of roof leaks. Heavy hailstorms can dent and damage the material of your roofing material. Strong winds can uproot trees or structures surrounding your home and can cave in a section of your home, which might require heavy repairs that can involve your roof, walls and even the installation of replacement windows. Shallow roofing slopes are also a common cause of leaks, but not just because of pooling water. Shallow roofs expose the shingles to the risk of tear-offs due to strong winds. If a shingle gets torn off the roof during a storm, rainwater can enter through this opening and affect the material underneath the roof shingles. 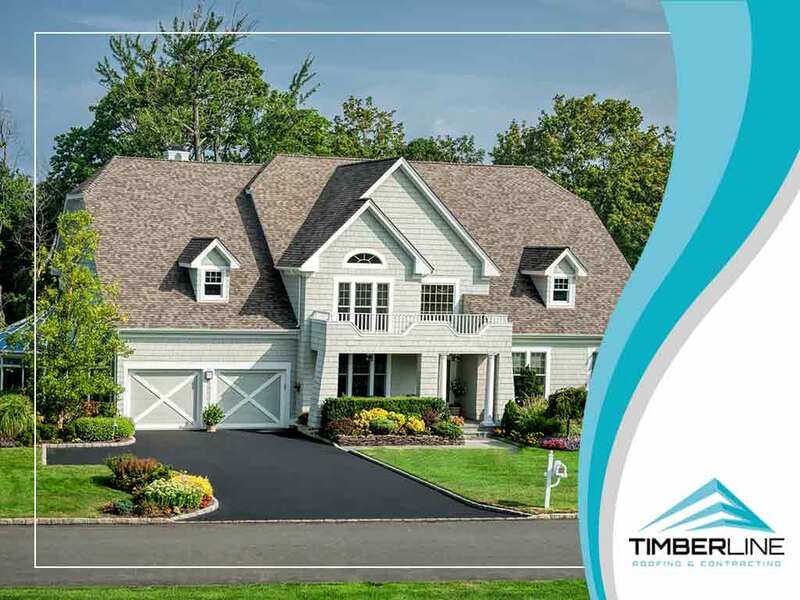 At Timberline Roofing and Contracting, we can help you identify the exact cause of your roof leaks. Drop us a message by texting us at (612) 470-7145 or filling out our form. We serve residents of Minneapolis, MN.